There should be a gigantic sense of relief (and appropriately so) on the part of in-house counsel and executives of insurers doing business in Florida. Yesterday, the Florida Supreme Court resolved important questions regarding liability in first-party insurance cases, in the long-awaited QBE Insurance Corp. v. Chalfonte Condominum Apartment Assoc., No. 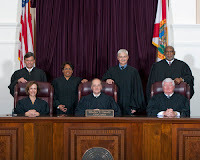 SC09-441 (Fla., May 31, 2012). First, a first-party claim for bad faith may be brought only under section 624.155, Florida Statutes. That is to say, "Florida law does not recognize a claim for breach of the implied warranty of good faith and fair dealing by an insured against its insurer." Second, the Court reaffirmed a long-standing judicial principle that, when there is no express provision in a statute imposing civil liability for noncompliance with the statute, judicial creation of a private claim requires a clear expression of legislative intent to do so in the language of the statute or its legislative history. In this case, QBE failed to use the correct font size for the hurricane deductible notice, as required under section 627.701(4)(a), Florida Statutes. The Court concluded that there was “nothing in the text of section 627.701(4)(a) [or in its legislative history] from which one can deduce that the Legislature intended an insured to have a private right of action against an insurer for failure use the statutorily required font size for a hurricane deductible notice." Third, the Court made clear that it would not craft a “penalty” for noncompliance with a requirement of the Florida Insurance Code where the Legislature did not do so. Specifically, the Court decided that “an insurer's failure to comply with the language and type-size requirements established in section 627.701(4)(a) does not render a noncompliant hurricane deductible provision in an insurance policy void and unenforceable, because the Legislature has not provided for this penalty." We had to wait a bit longer than usual for this decision to be issued. Oral argument occurred over two years ago (March 2010). The question was certified by the U.S. Eleventh Circuit Court of Appeals a year before that (March 2009). There were no dissents to the opinion, which was authored by Justice Peggy Quince. It was well worth the wait for the Court to apply these established principles in the context of first-party party insurance claims, staving off a flood of litigation (for non-meritorious claims) that was sure to come had the decisions been otherwise. The opinion is available at the following link: QBE Insurance Corp. v. Chalfonte Condominum Apartment Assoc.